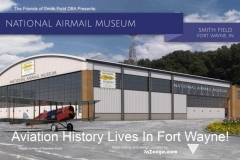 Click on the image to view it or select view as slideshow. 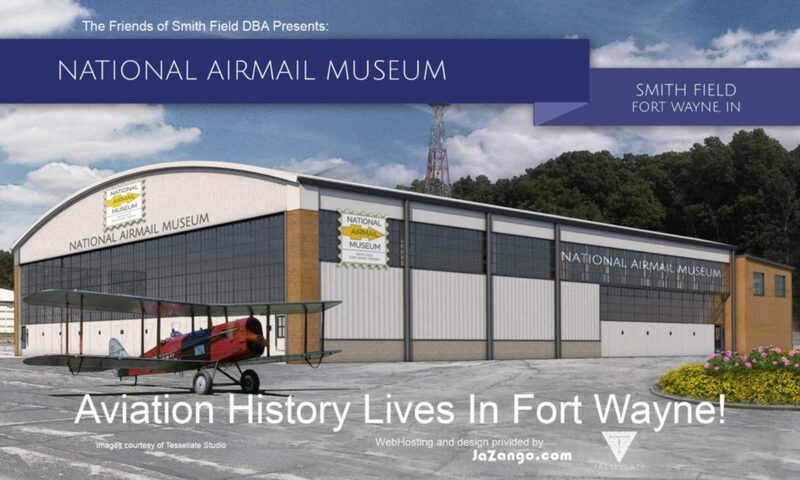 National AirMail Museum, Fort Wayne, IN. 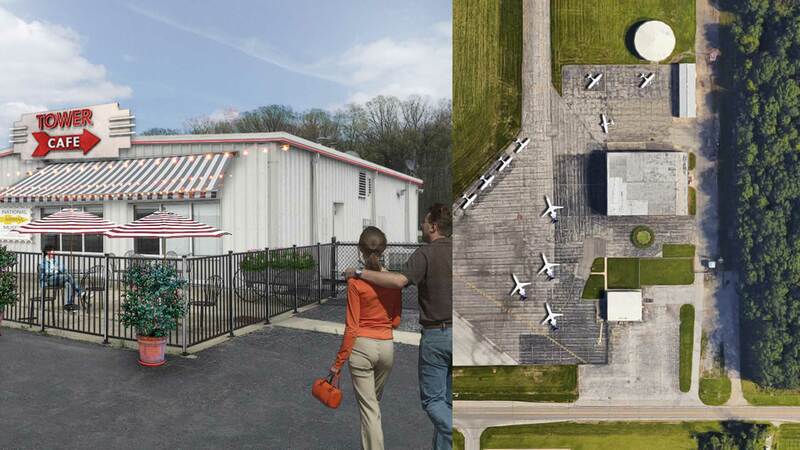 Images provided by Tessellate Studio. 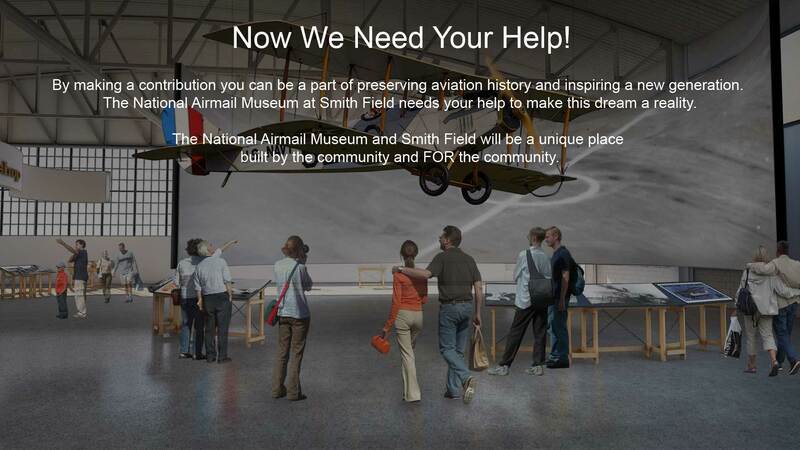 Smith Field, which played a key role in our nation’s history of Airmail service, offers a physical space and educational opportunity, which have been underutilized. In addition, the Fort Wayne region would benefit from a new tourist attraction as well as a cultural center for the local community. 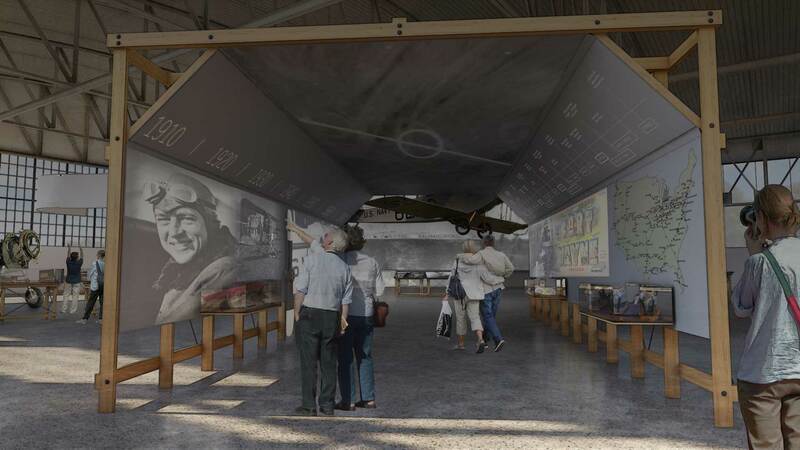 Starting with the iconic airplane hanger, we designed a space that would inspire visitors by embodying the authenticity and new possibility of early twentieth century aviation. By accentuating the physical structure with its soaring ceilings and echoing those architectural details in the exhibit design, we created an immersive environment that embodies this vibrant tradition. 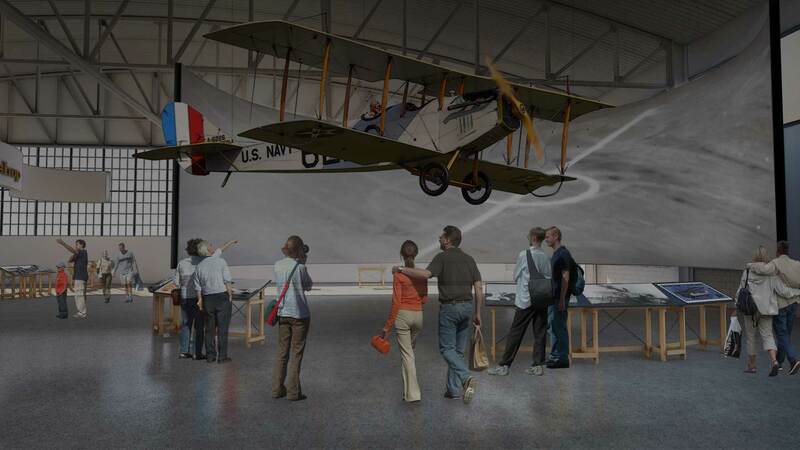 This place, comprised of exhibit halls and a café, inspires visitors by teaching about the individuals and concepts that made Airmail service such an important American success story. 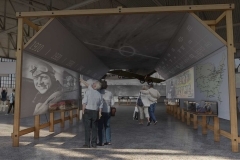 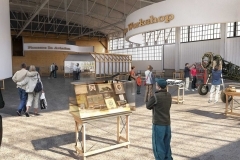 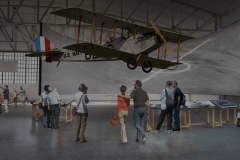 The exhibits, including historical re-creation alongside technology and an active airplane restoration, bring the subject to life and encourage interaction between guests and museum staff. 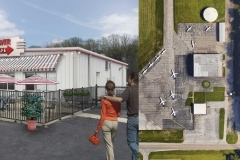 Our work on this project also includes drafting the proposals to secure the support of the financial and community partners required to realize this vision. 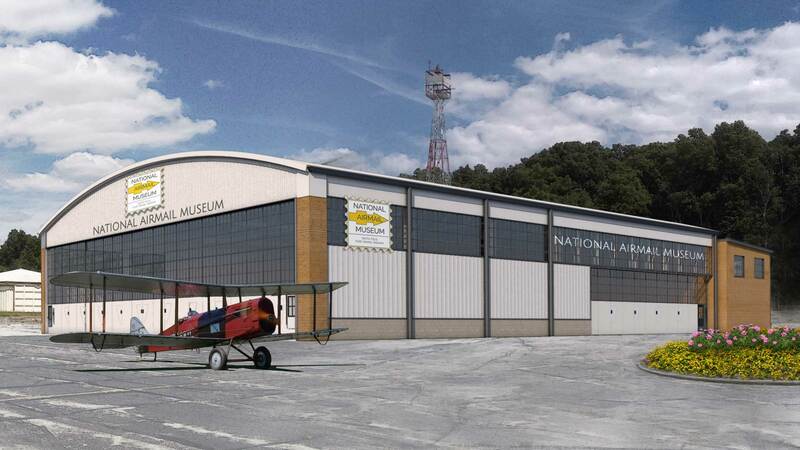 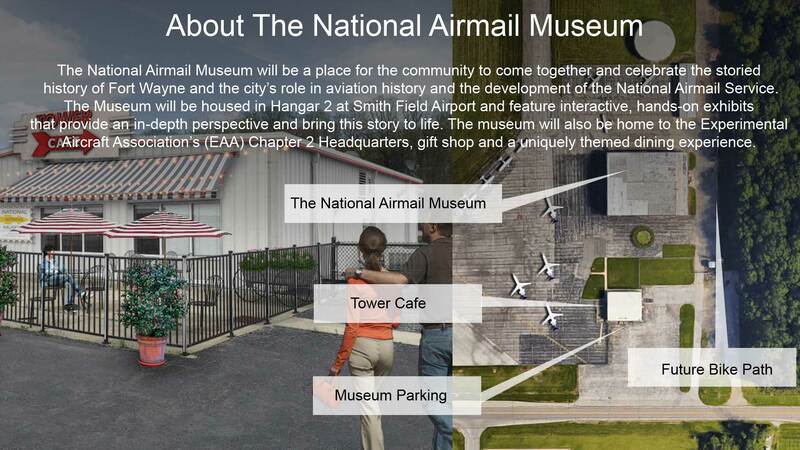 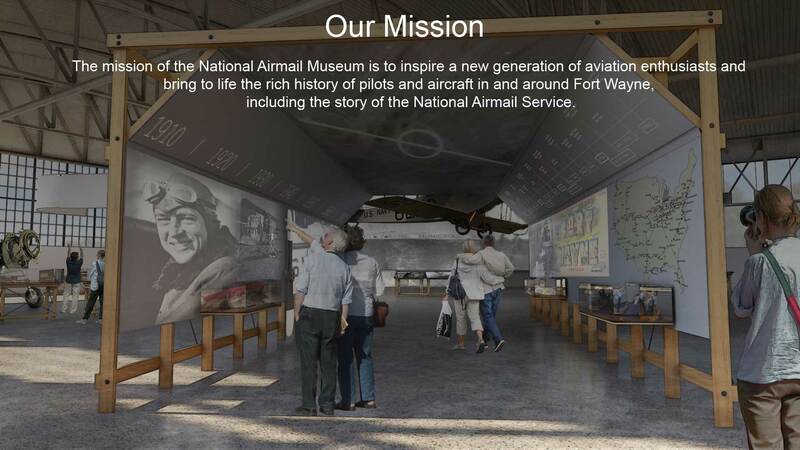 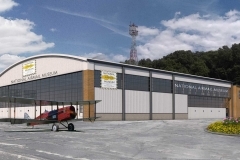 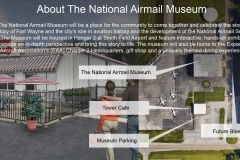 The Airmail Museum’s offerings will attract tourists from out of the area. 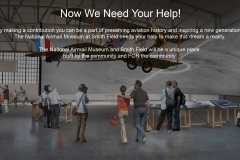 In addition, the flexibility for rotating exhibits and large scale event use ensure that the museum retains continued relevance for area residents. 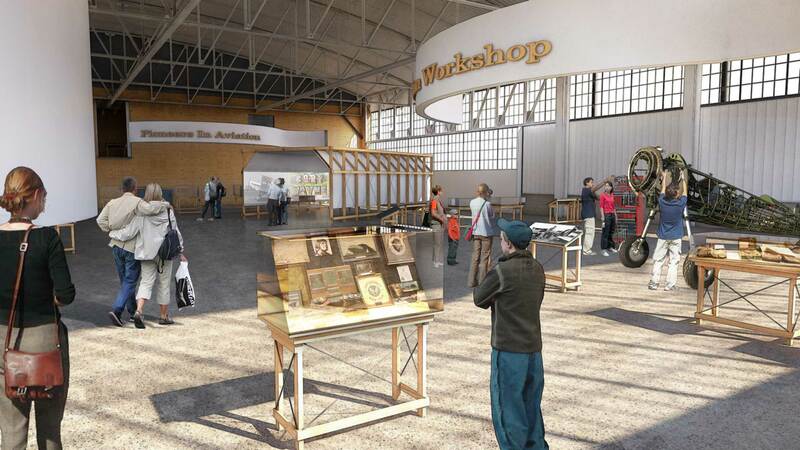 This combination of purposes serves to ensure the institution’s ongoing fiscal sustainability, while creating a unique and authentic place for educating and engaging a broad community.